Every first Monday of the month, it's Happy Monday on E-lotto. 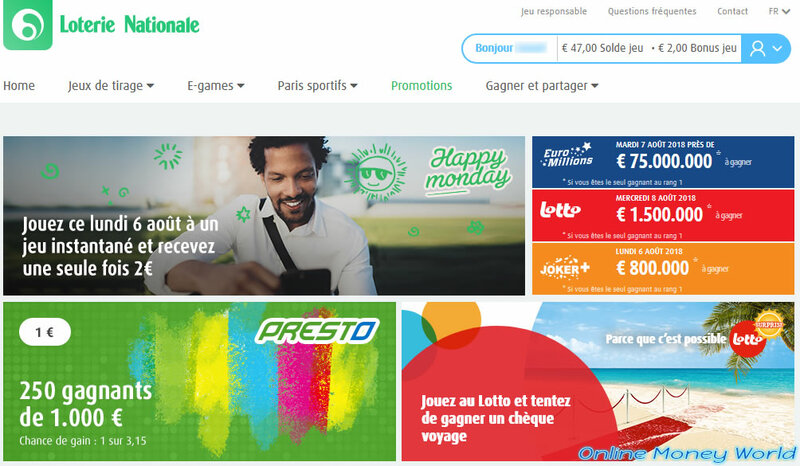 Thanks to this promotion, you can increase your chances of winning by betting a lot less money thanks to the € 2 bonus you will receive by playing at least 1 e-game on the day of this promotion. 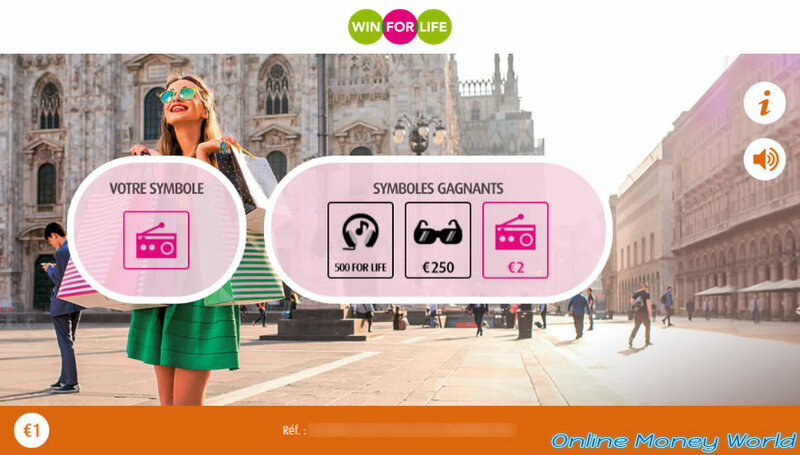 Indeed, by playing the Win For Life for 1 €, you could try your luck 3 times by spending only 1 €. 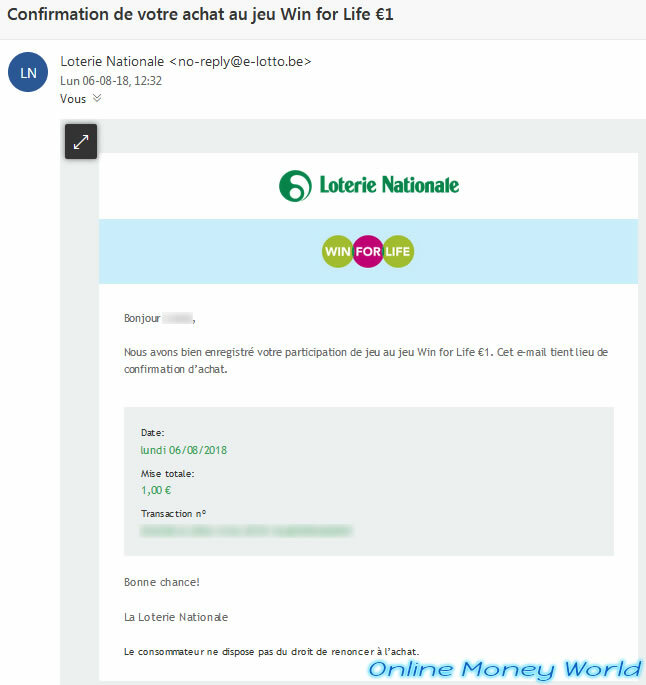 To be automatically notified of this promotion, check the settings of your E-lotto account. To do this, click on your name at the top right of the site, then click : Données du compte -> Paramètres des messages. 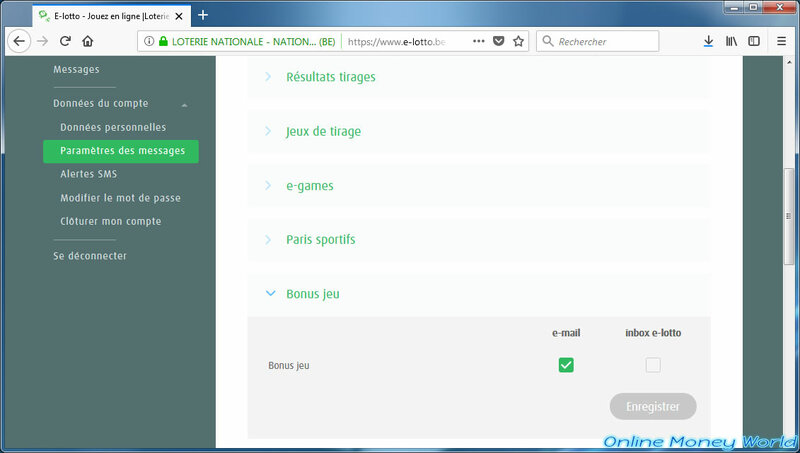 In the "Bonus jeu" section, check that the "Bonus jeu" option is enabled for e-mails. In the "Gestion du compte joueur" section, check that you have subscribed to the newsletter. If your settings are good, you will receive an email "Happy Monday ! Jouez aujourd'hui à un jeu instantané et recevez un jeu en cadeau" every 1st Monday of the month. 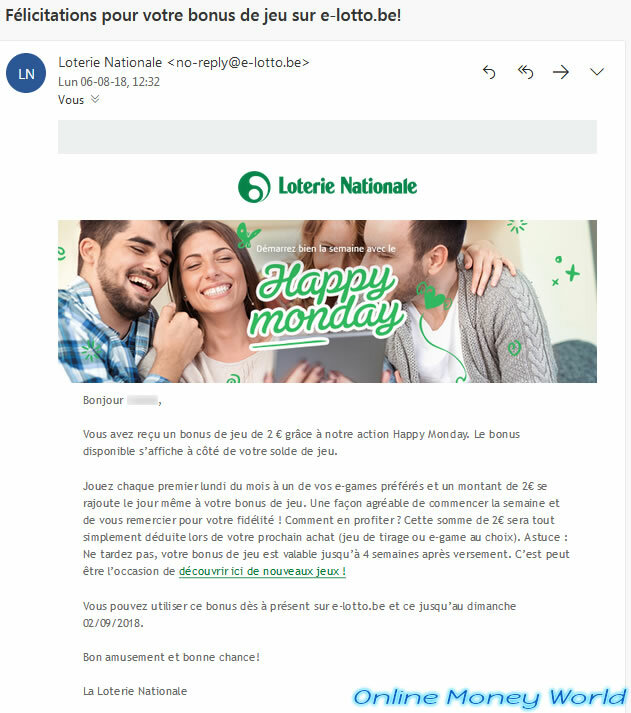 As stated in the email, you will receive an additional chance (a € 2 bonus) immediately if you play at least 1 instant game this Monday. Note : an instant game is the same thing as a scratch game or an E-game. 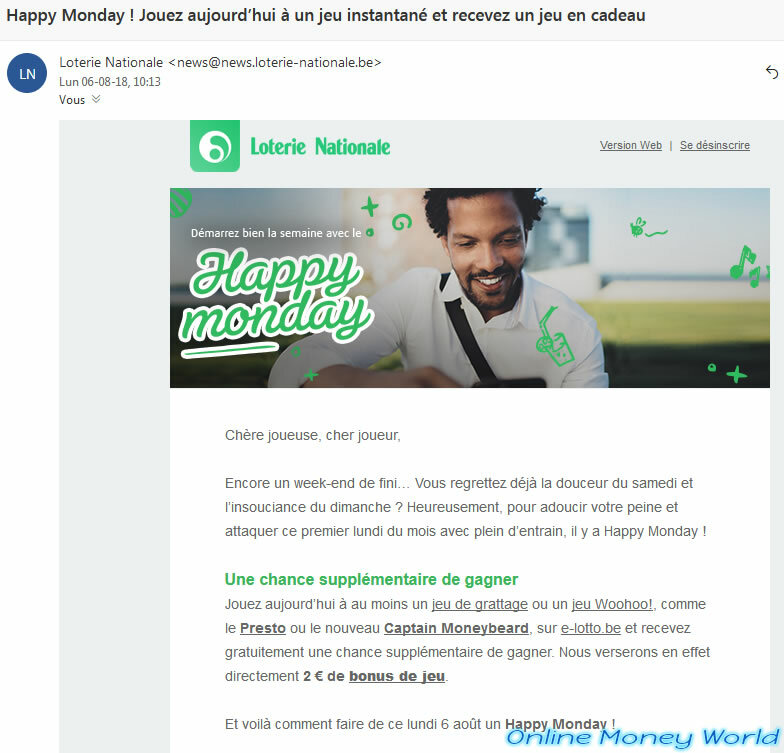 If you go to E-lotto on the first Monday of a month, you will see the Happy Monday picture. Click on it to access the E-lotto "Scratch Games" section. 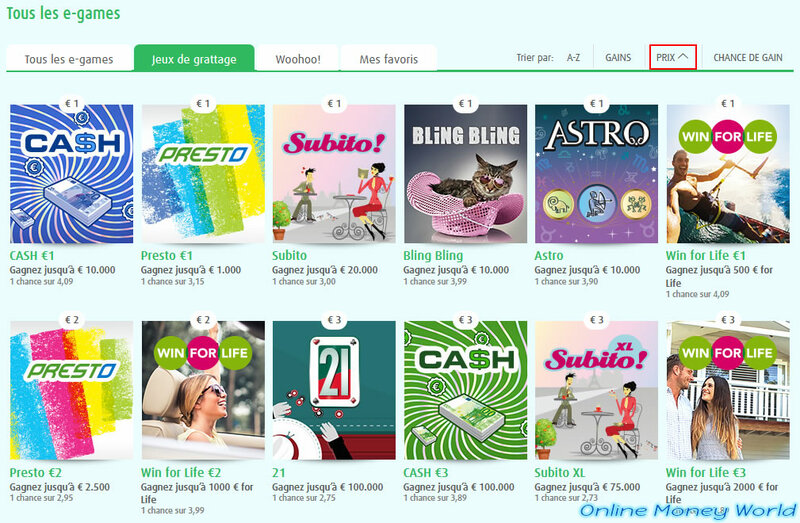 Another option is : go to "E-games" and click on the "Jeux à gratter" button. Go down a little in the page and click on "Prix" to sort the list of games by price (from the cheapest to the most expensive). 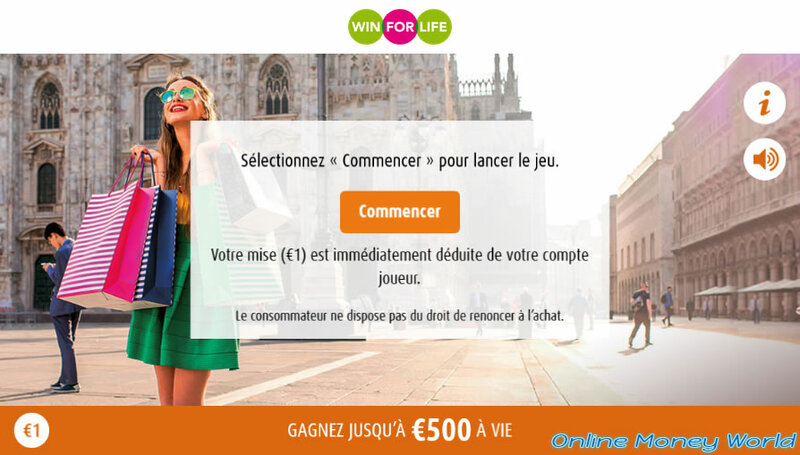 Locate the "Win for Life €1" game (for example) and click "Acheter". As indicated on this page, your bet of 1 € will be debited immediately from your player account. Chance wanted us to win € 2 today. We therefore won € 1 (€ 1 bet + € 2 winnings on this ticket = € 1 profit). Now, you must have received an email confirming your purchase by email. 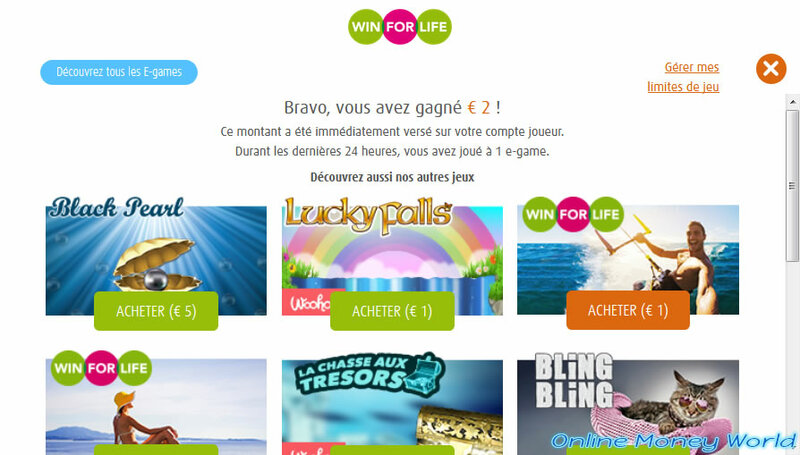 As expected, the Loterie Nationale warns us that we have just spent € 1 to play Win for Life. Thanks to this purchase (costing € 1), you will immediately receive your € 2 bonus (valid for 4 weeks). In other words, even if you lose with a scratch ticket purchased with this bonus, you will not lose anything. Warning : unlike before, this bonus is no longer permanently credited to your e-lotto balance, but as a "bonus". In other words, you can use it only to try your luck on scratch tickets on e-lotto (before its expiry).